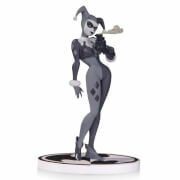 The Batman Harley Quinn Dorbz Vinyl Figure measures approximately 3-inches tall. 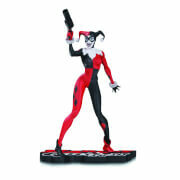 ;This loveable little villain comes in a double window-box package to fully display the the character from both front and back! One of my first Dorbz! The whole figure is heavy, comparing to what it looks like.It seems that it is not hollow plastic. The paint job is actually good although in my case,a small piece of the black color seemed to have a little flaw. It was not Zavvi's fault,probably a manufacturing little flaw, but zavvi was polite enough to offer me a 15% refund for it!Great price and great communication once more!